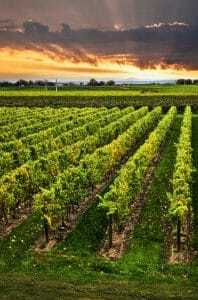 By now, everyone knows that the Niagara wine region rivals Napa Valley, and La Rioja, so a wine vacation in Niagara Falls is well worthwhile. Dozens of Niagara wineries have won awards for their vintages and varietals, and because they are so conveniently located to another world attraction — the eponymous falls — the vineyards are easy to reach and fun to tour. However, it is possible for any wine vacation to go awry. Before you pack your weekend bag and head north to taste some of the continent’s best wines, you should read this guide to ensure you have the best possible time on your wine-based trip. This one should be obvious: If you taste even one wine, you shouldn’t drive. Just because you book a tasting doesn’t mean your winery will provide transportation to and from your hotel. Therefore, to avoid needless injury throughout your vacation, you should ensure safe, sober transport. You can do this by nominating one person to be the designated driver every day of your trip — or you can keep everyone in your party happily tasting by signing up for one of the many Niagara wine tour packages available through our hotel. Even riding a bike is a safe alternative to driving and an option that is available in Niagara wine country. There is never a good reason to drive intoxicated, and your vacation is a terrible time to take a deadly risk. You might like wine, but you probably don’t know much about tasting procedure. Especially if you are on a tour, you shouldn’t be afraid to ask guides and wine producers about wine-making methods and tasting practices. 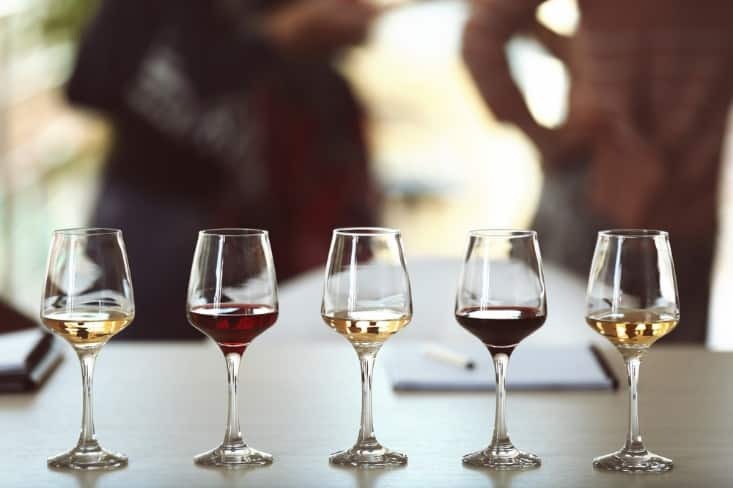 Undoubtedly, the experts can help you experience wine correctly, parsing different flavors and appreciating different vintages in new and exciting ways. You can also ask advice for pairings, so when you head to lunch or dinner, you know what wines will complement your meal. Throughout your vacation, you should take notes on wineries you particularly enjoyed and wines you look forward to trying again, so when you head home, you know exactly what to order for your home supply. Niagara is filled with upwards of 400 wineries, so we understand your eagerness to taste as many wines as possible during your trip. However, rushing through your tastings will only impair your experience. Instead, you should pick just a handful of vineyards to visit — such as big-names Peller Estates, Chateau de Charmes, Inniskillin, and Redstone — and plan plenty of time in between to give your palate, your mind, and your legs a rest. Breaks are also important if you are trying to tote kids along on your wine tour. Most vineyards have activities specifically for little ones, including petting zoos and food workshops, so your children can be as entertained as you are. Still, you should make some time for your kids, who certainly want to spend most of their vacation with you. You can attribute it to the high concentration of outstanding wines — or you can blame the effect of several tastings — but most visitors to Niagara wine country leave with more than a few bottles. To keep your drinkable souvenirs safe on the ride home, you should consider bringing along an empty box. Your local wine store is likely drowning in wine boxes and dividers and will gladly give you one for free. You can also ask a Niagara winery whether they are willing to support your purchase with a safe transport box. Your goal is to keep your bottles from clinking together and breaking before you can enjoy your Niagara wine at home. For at least a day before your first wine tour, you should avoid any activities that will compromise your palate. This means you should eat relatively bland foods, eschew strong perfumes and other smells, and stay away from things that are super-heated or frozen. Then, on any day you have a tasting, you shouldn’t partake in coffee, chewing gum, or cigarettes as all of these substances will dull your senses and ruin your winery experience. Finally, in the interest of seeming knowledgeable about wine during your vacation, you might be tempted to stick to varietals you drink often, like Chardonnay and Merlot. 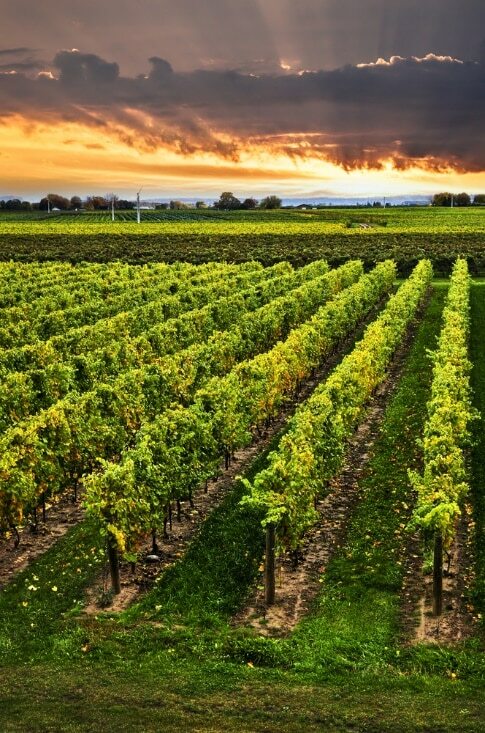 Niagara wine country offers some unique varietals and vintages that you won’t find anywhere else in the world. If there is a time to experiment with wine, it is at a tasting in Niagara Falls.